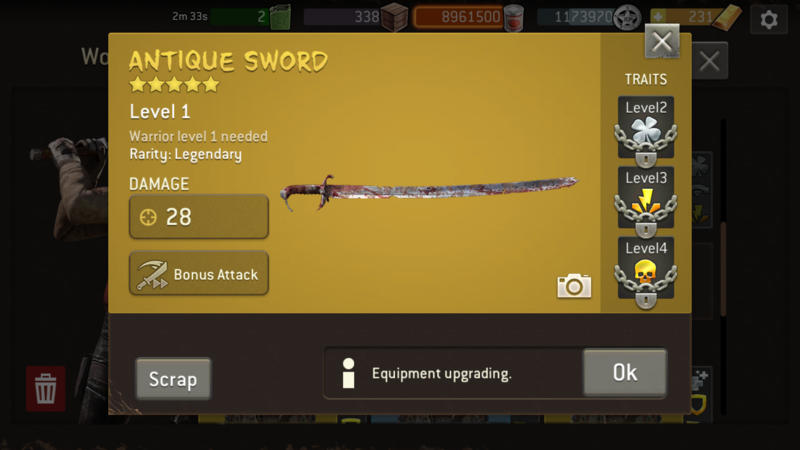 Show your Legendary Weapons ! Can we agree that it's time to let this thread go? Isn't 11 pages enough? Of course, you're a successful business man so it perfectly makes sense. Yeah, it's very hard to let them go. Like I said in above quote, it's very hard to let this thread go. This is one of area many high level players can post their hard won trophies. Please understand, it's a guy thing. Some of my recent pulls..
Nice pulls. You got one level 20 armor so it will take a while to upgrade it. 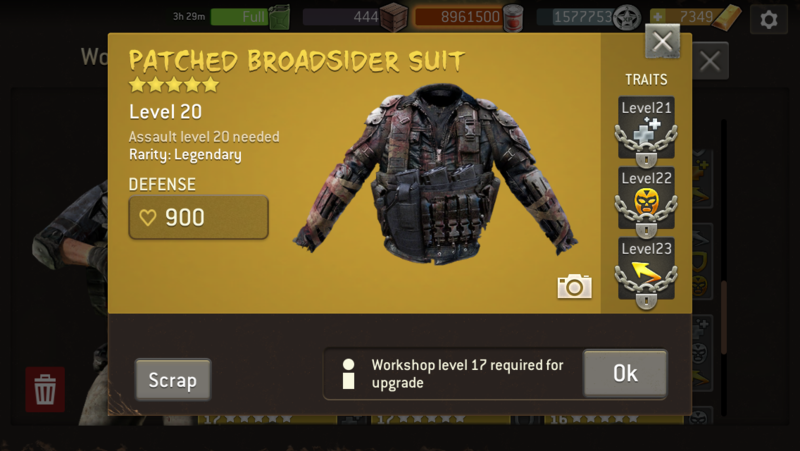 Constantly getting lvl20/23 legendary gear. When will i be able to use those?!! 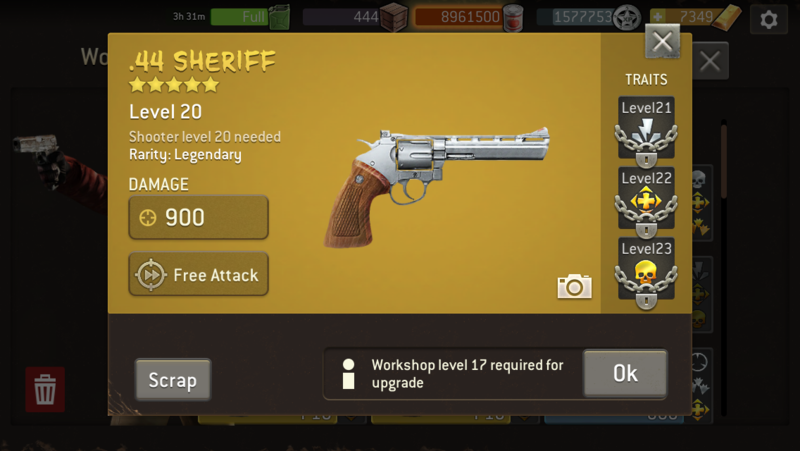 Just give the lvl20s away when an actual lvl20 update is coming. Wouldn't that be more logic? 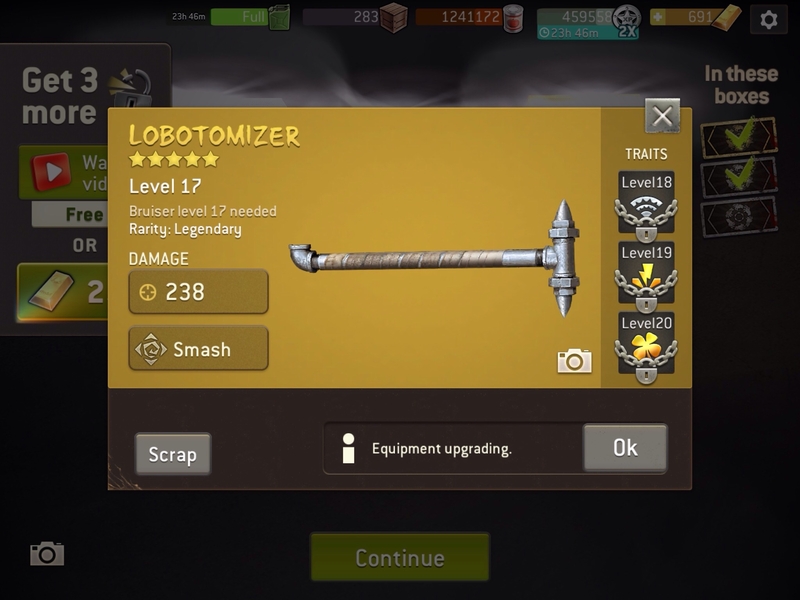 Lucky they raised it to 300, but didn't come across this weapon anymore.. Thanks for the info, but still doesn't make any sense. 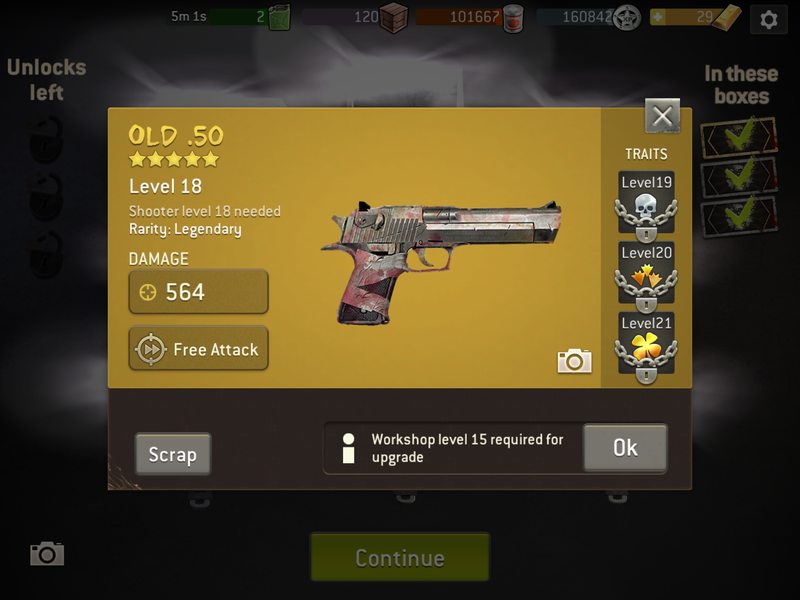 Hand out the lvl20s, a few weeks or a month before an actual lvl20 survivor upgrade is coming. @fistonltd -- whether it makes sense or not, it's how the game operates. Equipped with the information that we have, you can decide how to best get the equipment you are looking for. 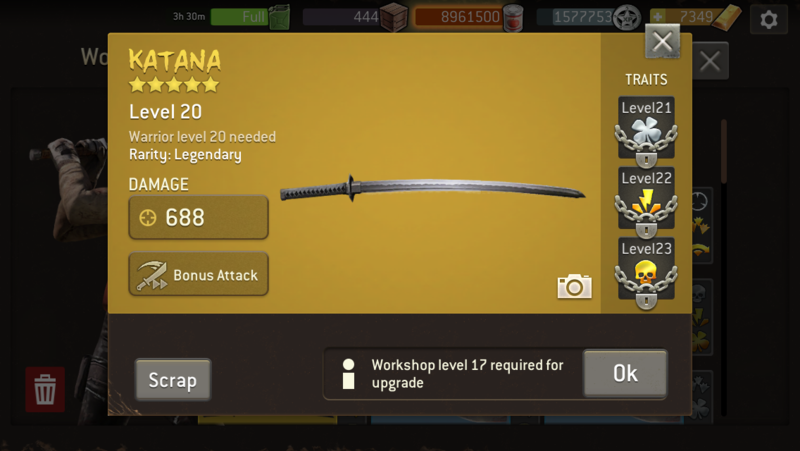 At least this way players can play choose to get equipment for the short or long term. Personally, I like having the option. 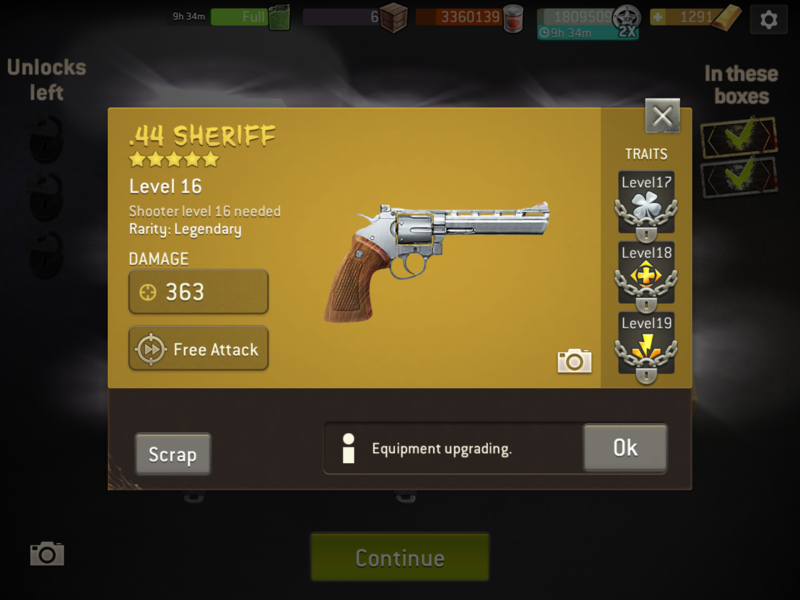 I share my thoughts to improve the game. Thats what this forum is about no? 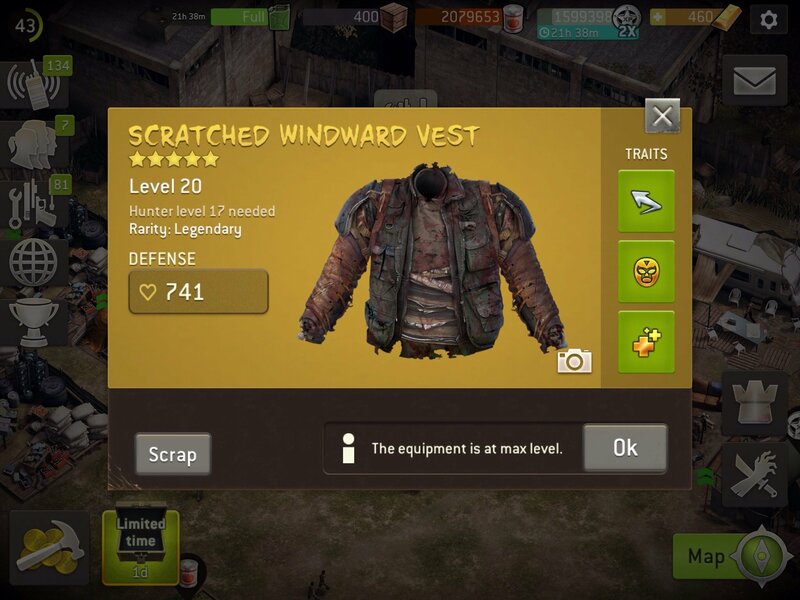 If u like to stack up gear for an update that wil take for ever, ok.
"It's how the game operates now." So there still is room for improvement in the future.. If everybody blindly agrees. It will stay as it is. Discussing the good and bad doens't hurt anyone..
we can only benefit from it. @fistonltd you are much more likely to get usable legendary gear by using your 7500 TG on 15, 500 TG chests pulls than one 7500 chest. Thats correct but those are mostly lvl 17 or 18. 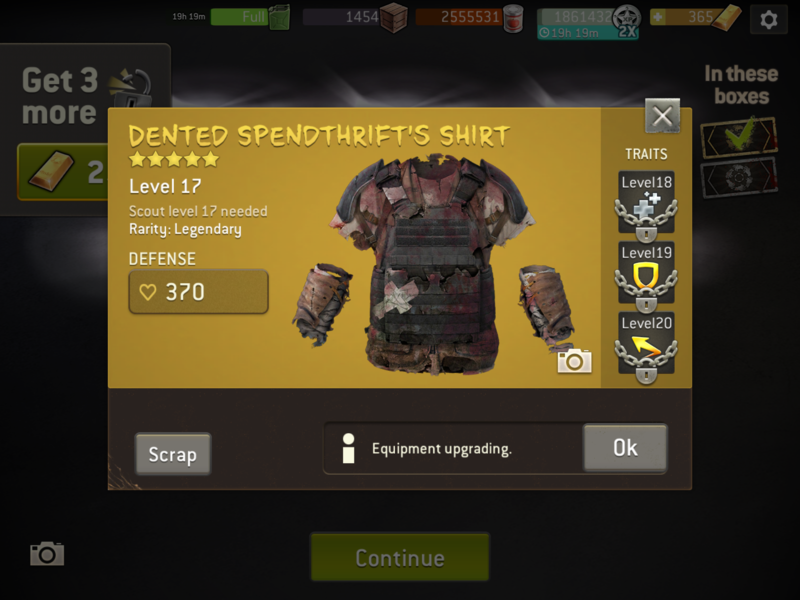 I don't invest in upgrading lvl18 gear anymore. 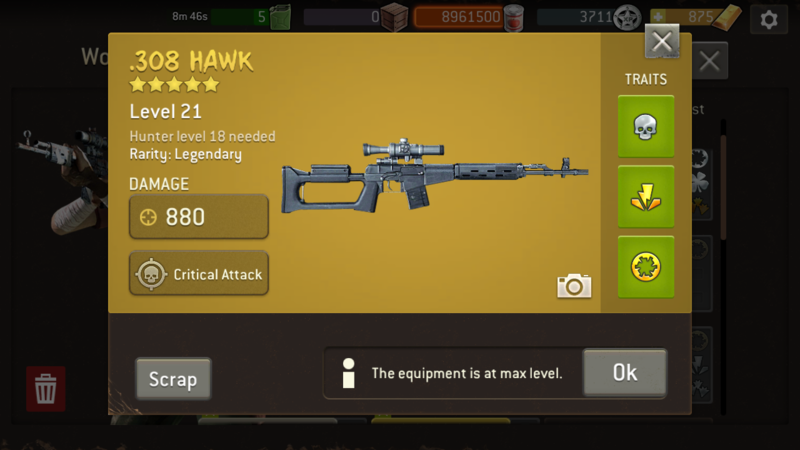 As they become soon too low after the update. 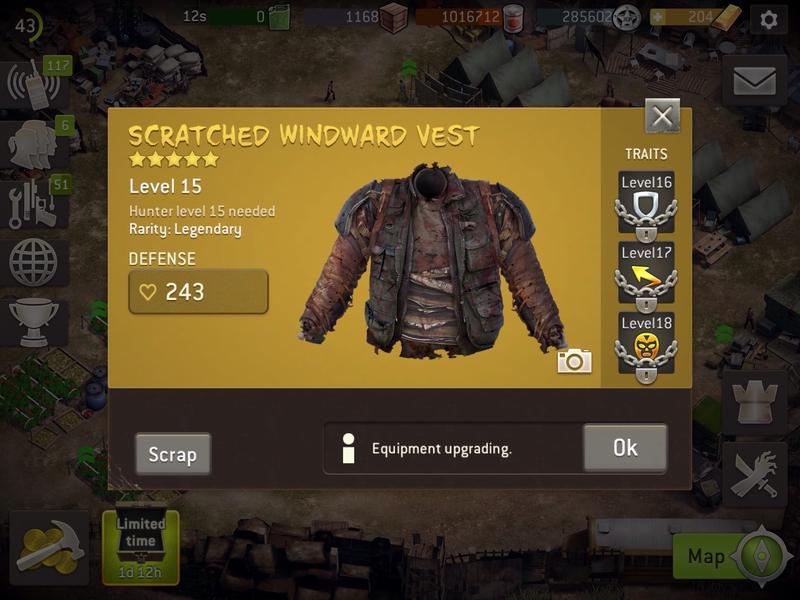 Better save xp for upgrades of lvl19 weapons/vests don't u think? Hope it will be out soon, cause i can't store anymore tomattoes..
@gabriel_lwh Amazing that you got that bat on the first round of unlocks where it was the one and only ticket available!! 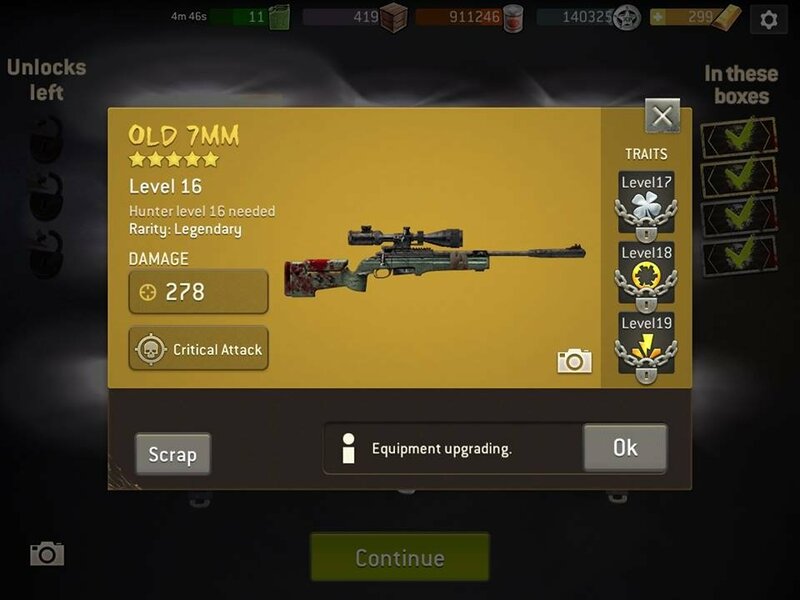 Wher did you pull these? In explorations, what used to be deadly? 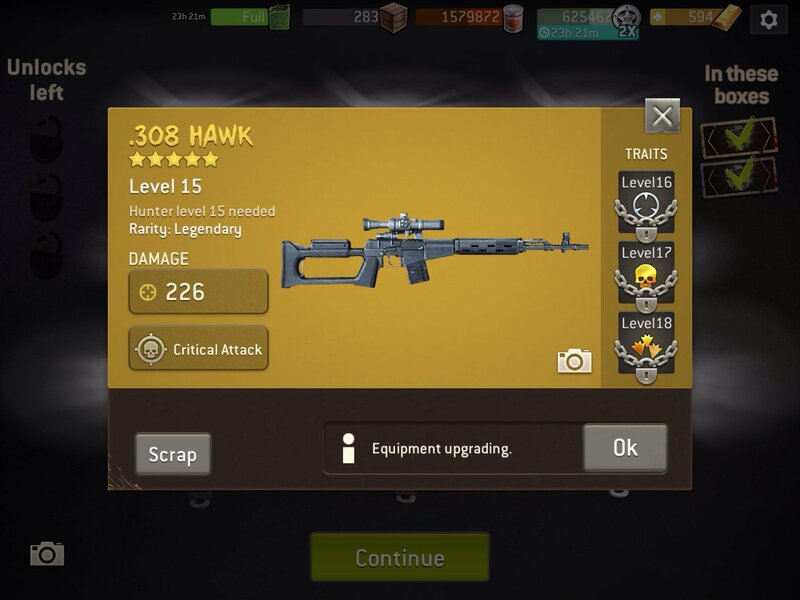 Looking for a leg huntergun with max caliber. Lvl 18or 19..
Maybe i'll try it that way than. 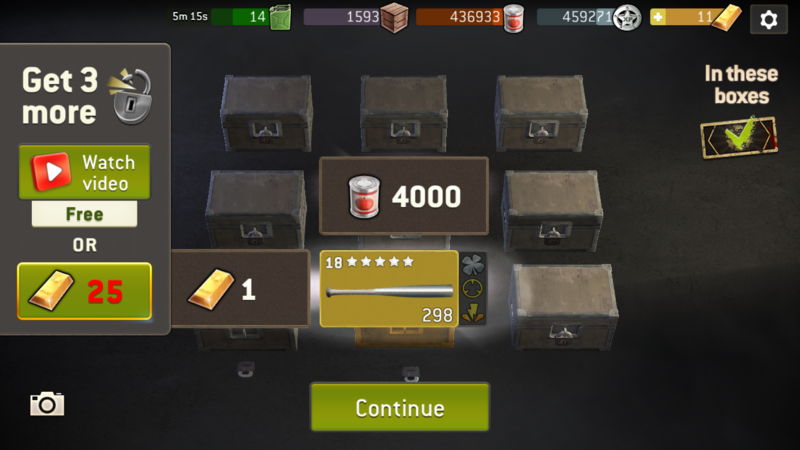 Cause spending 7,5k on a leg scout knife really hurts. 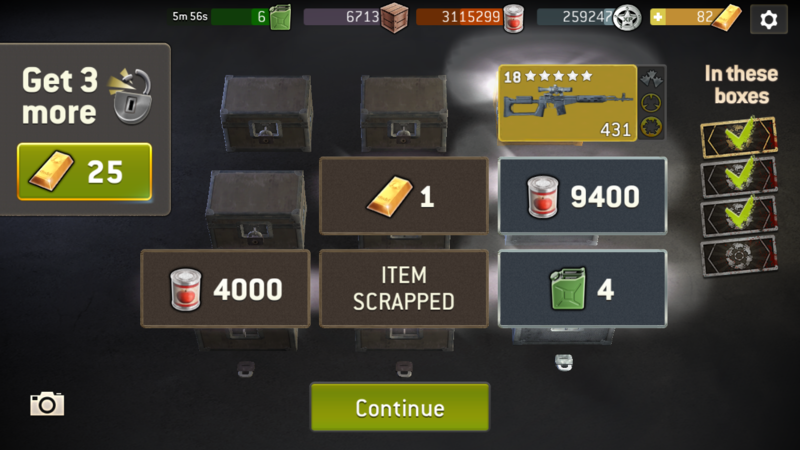 My understanding is that they are looking into a similar system for weapons, but they want to see how the token system works for survivors in the next update first. I got them from playing supplies exploration missions from Episode 13 at recommended level 18 of survivors. I'm trying to save up supplies to upgrade my Council when the new update 1.10 is released. 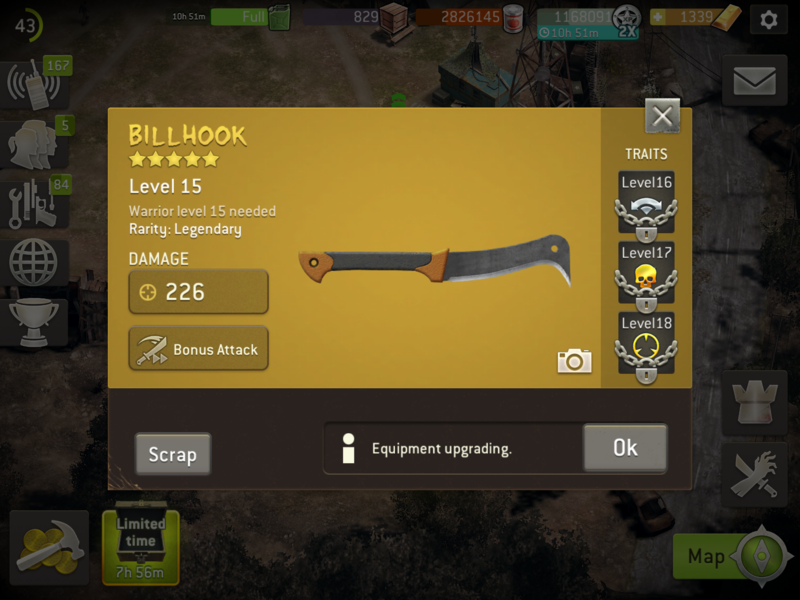 As far as I'm concerned, I find it extremely difficult to pull decent hunter weapons from mission crates. 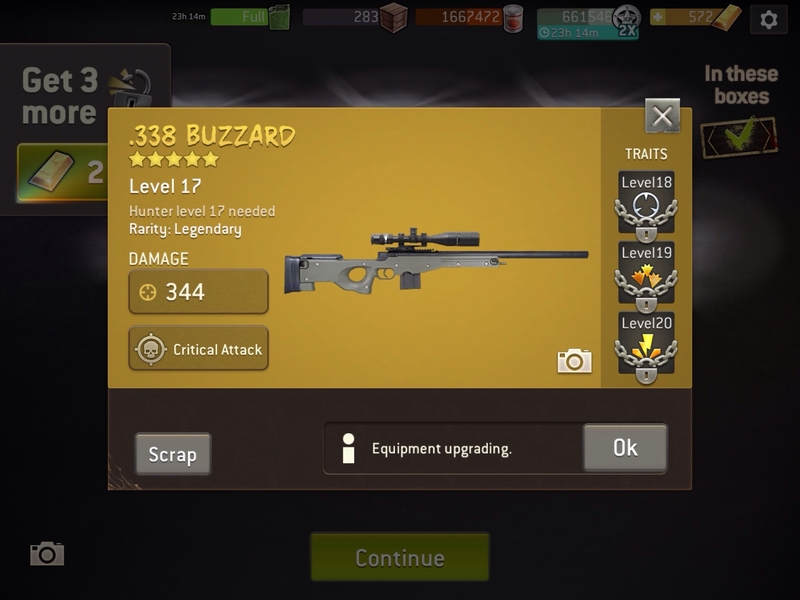 Before I pulled those 2 hunter rifles, the best legendary hunter rifles I had were only level 16. 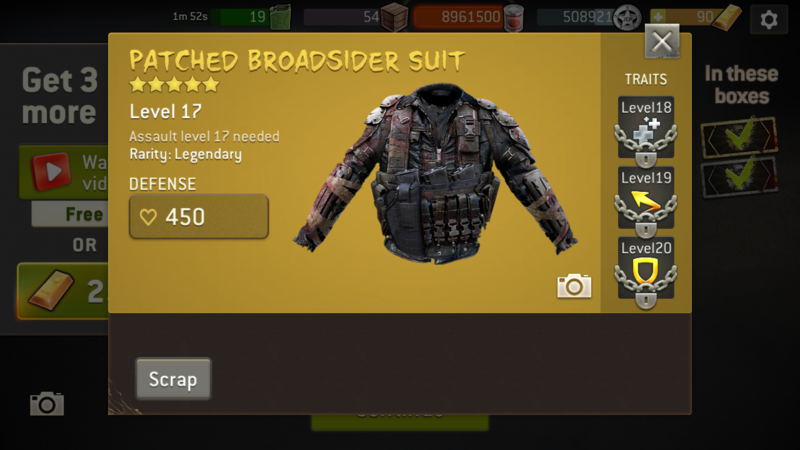 I've had little luck from 7.5K TG legendary crates as well, mostly I pull scout/bruiser gears. 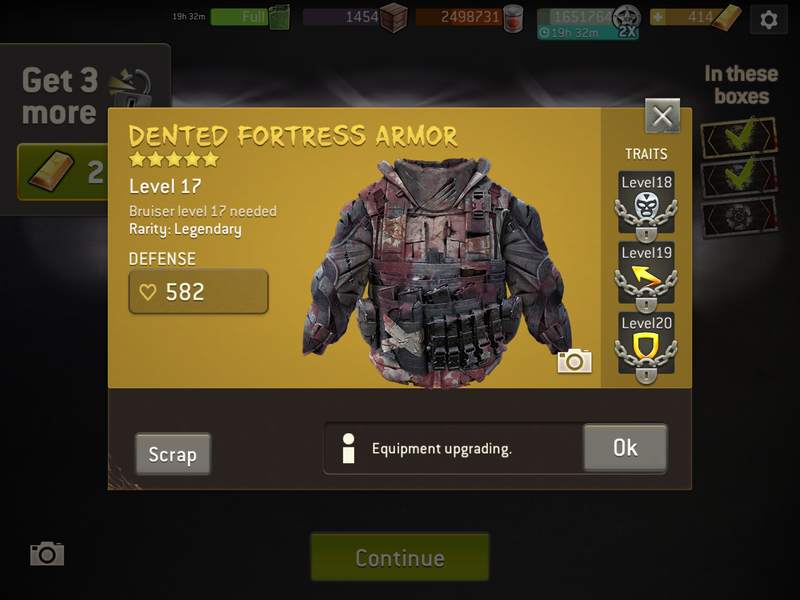 Many high level players recommend opening Epic Gear Crate (3.5K TG) or Golden Crate (500 TG) instead. 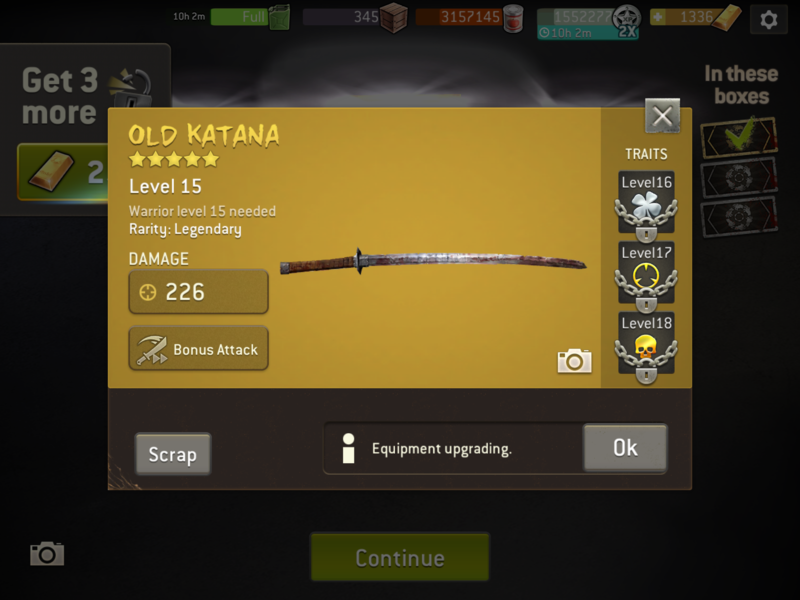 Just got this one. No extended range, though. I am completely maxed out at the moment. 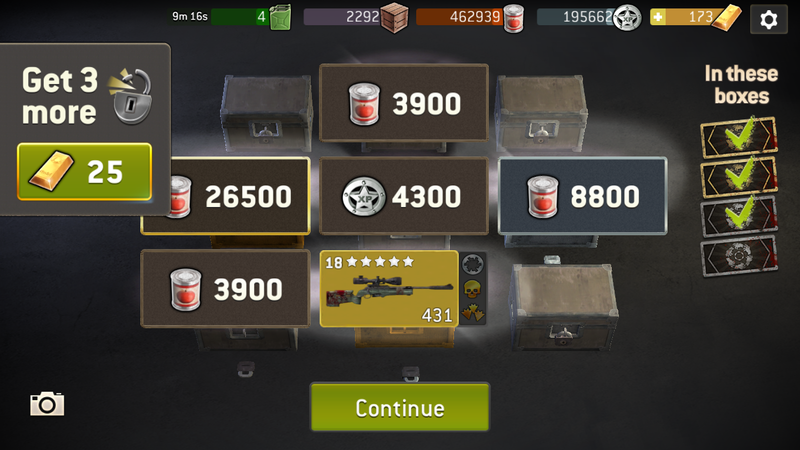 (Lvl52) and got a full supplies bar (8.9 million) so it would be silly to spend gas on supplies explorations. You would think its more likely to get them in the gear explorations.. Very strange. Don't notice any difference with the new weekend event neither..